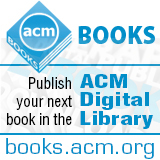 Welcome to the October 24, 2014 edition of ACM TechNews, providing timely information for IT professionals three times a week. A wide variety of technologies, from apps and software to big data and robots, are being employed to help fight the Ebola outbreak in West Africa. One of the main technological weapons against Ebola is electronic health records (EHRs), one of the cornerstones of the Obama administration's health policies meant to bring a more data-driven approach to medicine. The U.S. Centers for Disease Control and Prevention (CDC) have been urging vendors to include patient travel histories and records of Ebola symptoms in EHRs to help physicians flag possible carriers. Such information also is being used by the CDC as part of its Epi Info VHF (viral hemorrhagic fever) application, an open source program that enables users to set up patient information databases. Microsoft has pledged cloud service support for this and other services designed to make it easier to track Ebola's spread. Some technologists have even greater ambitions, using big data to find ways of predicting the spread of the disease. One example is an app created by Swedish firm Flowminder, demonstrated in August, which used data about past Ebola outbreaks and traffic patterns in Senegal to predict the spread of a previous Ebola outbreak in that country. Robots also are being enlisted to carry out frontline missions in the fight against Ebola. University of New South Wales (UNSW) researchers say they have developed silicon-wrapped quantum technology that could solve problems that have held back the development of powerful quantum computers. The breakthrough involves using silicon as a protectant shell around the qubits in a quantum machine. The researchers say the shell makes the qubits more accurate, increases the length of time they will hold information, and could make quantum computers easier to build. "This has shown that quantum bits in silicon are a truly viable option for quantum computers," says UNSW professor Andrea Morello. Morello and UNSW professor Andrew Dzurak separately made quantum bits based on a single electron confined and localized in a silicon chip, at which point it can be used to encode quantum mechanical information. However, they used two different methods to confine and localize the electron. Dzurak's method is to create a qubit with a device similar to the transistors used in electronics, while Morello's method uses a natural atom of phosphorous as a qubit. "We expect that the interest from the semiconductor industry will drive the progress even further," Morello says. The new methods have extended the world record for the longest-lasting qubit from two seconds to 30. Experts are coming to a consensus that the shift from the petascale to the exascale supercomputing eras is going to be more challenging than many previously anticipated. At the recent Argonne National Laboratory Training Program in Extreme Scale Computing, Pete Beckman, director of Argonne's Exascale Technology and Computing Institute, highlighted some of the possible problems. One major concern is power and the costs associated with it. Although supercomputers have been getting more energy-efficient, Beckman uses the example of the most recent generations of IBM supercomputers to demonstrate a 5x trajectory of energy efficiency gains that would still have an exascale system requiring 64 megawatts of power, which could cost tens of millions of dollars a year. These cost concerns are prompting many countries to pursue exascale computing on an international scale, forming multinational partnerships to share the massive costs. The U.S. and Japan recently entered such an agreement, and Europe is looking to join them. However, China is proceeding on its own, largely on the strength of its own native technology. Beckman also addressed challenges relating to memory and resilience and the need to update software to be able to make use of exascale resources. Purdue University researchers say they have developed algorithms that reduce three-dimensional printing time by up to 30 percent and the quantity of support material by as much as 65 percent. Purdue professor Bedrich Benes says using the algorithms should result in lower overall printing costs. "The total cost of printing is governed by numerous factors, including not only the price of the printer but also the amount of material and time to fabricate the shape," he says. The PackMerger algorithm prints a project in segments that can be glued together. "Our algorithm cuts the project into small elements that will fit into the printing tray," Benes says. He notes PackMerger determines how to pack the most elements into the smallest possible space using the same principle utilized by videogame Tetris. The algorithm prints the segments so they are spaced as closely together as possible in the printer tray, leaving little supporting material between them, saving both time and material. The segments can then be separated and assembled. "The computer automatically rotates the object in all possible orientations before printing to find the orientation that has the smallest overhang area," Benes says. The University of Cincinnati (UC) is hosting Microsoft's DigiGirlz event today in conjunction with UC's new student chapter of the ACM Council on Women in Computing (ACM-W). The free one-day event gives high school girls a chance to learn about careers in technology. "I was excited to hear about the worldwide event, DigiGirlz sponsored by Microsoft Corporation, and wanted to ensure that we hosted the event at the University of Cincinnati to increase the pipeline of women enrolled in computing majors in our university through the ACM-W," says UC ACM-W chapter president Priya Chawla. "As a current woman in computing, I am extremely passionate and excited about the entire university's support for our student organization to thrive." DigiGirlz provides planning assistance, information about technology and business roles, thought-provoking exercises, and product demonstrations. Participants also will get the experience of hands-on computer and technology workshops to gain exposure to careers in business technology. "More than 50 percent of today's jobs require some degree of technology skills--and some experts say that will increase to 77 percent in the next decade--but many of the world's youth don't have the skills for these roles and will be unable to fill these jobs," Microsoft says. North Carolina State University (NCSU) researchers say they have developed a more accurate way to determine how far electric vehicles can go before needing a recharge. NCSU researchers Habiballah Rahimi-Eichi and Mo-Yuen Chow have taken a predictive, big-data approach to range-estimation. Rahimi-Eichi says their software requires drivers to first enter a destination, then pulls in data on several relevant variables, such as traffic, whether the route includes the highway or goes through the city, weather, and road grades. Data on the performance characteristics of the vehicle and its battery, and the amount of charge remaining in the battery also are entered into the algorithm. In addition, the researchers developed a technique to estimate the state of charge, which they say reduces the range estimation error to a couple of miles. During testing, the researchers say they were able to get 95-percent range estimation accuracy in some case studies. "People have a lot of 'range anxiety' in regard to electric vehicles--they're afraid they'll get stuck on the side of the road," Chow says. "Hopefully, our new range estimation software will make people more confident about using electric vehicles." The European Union's PLANTOID project has developed a robot that mimics certain plant-like behaviors and capabilities. The PLANTOID project's overall goal is to replicate the sensitivity and efficiency with which plants sense the environment around them. The researchers have developed a prototype robotic tree consisting of a three-dimensional printed trunk, with root-like sensors capable of searching for fertile ground. The sensors at the end of each root, which are connected to a computer in the trunk, can detect temperature, humidity, and the presence of specific organic materials such as nitrate and phosphate. In addition, if a root runs into an obstacle, the sensors enable the system to redirect it. The researchers "fed" the robot with artificial filaments, enabling it to build its own structure and penetrate the soil. The researchers also want to develop plant-like robots capable of exploiting external environmental energy. In addition, the researchers are exploring using artificial intelligence technology to enable the robot to use past experiences to change over time, which they say could lead to smarter devices that autonomously react to stimuli and make decisions. Facebook's study on "emotion contagion" generated public outcry, but few people understand how algorithms shape the world we experience, writes University of Illinois professor Karrie Karahalios. She notes algorithms are now choosing which products to recommend to people and deciding whether they should receive a new credit card. Facebook's study showed the power of its algorithm that determines the updates people see, and how the content of news feeds impact whether they post positive or negative messages, according to Karahalios. She and colleagues built a tool to help people understand how Facebook's news feed works. Karahalios says the tool displays a list of stories that appears on a user's news feed on the left of the screen, a list of stories posted by one's entire friend network on the right, friends' post that are mostly hidden and displayed on a third panel, and also offers manual control of the news feed. The team tested the tool on volunteers and the participants were surprised their feed was manipulated. Karahalios notes follow-up months later found that some participants changed their Facebook settings so they could control their feeds themselves, but one participant quit using Facebook. In collaboration with the European Space Agency, researchers at Trinity College in Dublin have designed a risk assessment tool for the re-entry of spacecraft debris. The tool is intended to protect the Earth and its inhabitants from falling debris from obsolete and disintegrating spacecraft and satellites as they re-enter the Earth's atmosphere. Trinity professor Simon Wilson says the researchers were able to more accurately calculate the potential impact points of satellite parts that do not disintegrate in dense atmosphere. "Particularly, we are now able to calculate with higher probability whether objects in dense atmosphere will burn or not," Wilson says. He notes other details will be not be disclosed until the researchers obtain an international patent. The U.S. Space Surveillance Network currently tracks more than 16,000 objects orbiting Earth, about 87 percent of which are debris or inactive satellites. Any satellite orbiting the Earth will eventually start to re-enter the atmosphere, parts of which may survive re-entry and strike the earth's surface. Experts estimate the total weight of space junk currently exceeds 100,000 tons, comprising satellite fragments, rocket stages, and inactive spacecraft components that also pose a risk for manned missions. There is rising interest in digital visualization at Harvard University and worldwide. Digital visualization encompasses both art and analytics, and serves as a communication tool in areas ranging from hip hop to scientific collaboration. "Until 2007, what we saw was usually static…ever since then, with libraries such as D3 or Canvas or WebGL, you can do pretty cool stuff that works reliably on many platforms," says Alexander Lex, a postdoctoral visualization researcher at the Harvard School of Engineering and Applied Sciences. Student designers who enroll in Harvard's CS 171 class attend a special lab in which they work with a guest designer to learn the basics of shape and layout. "It really starts with drawing lines and circles on a sheet," Lex says. "Then we go on to sketching user interfaces." Matthew Battles is a senior researcher at metaLAB, a Harvard research unit that explores networked culture in the arts and humanities. Battles believes all visualizations are made using a series of data collection and design choices rather than being absolute truths. "Human beings are particularly susceptible to cognitive loops like apophenia, which is seeing patterns where no meaningful pattern exists," he says. "In the absence of pattern, we make pattern." Battle says this suggests visualizations need to be integrated with a larger narrative along with other claims and counter arguments. Digital Arts Leadership and Innovation (DALI) lab researchers are developing the Virtual Space Station, a virtual reality system that could provide an escape for U.S. National Aeronautics and Space Administration (NASA) astronauts on long space missions. The researchers say the virtual world created by the system, which uses the Oculus Rift virtual reality display, will extend to other senses beyond sight. "We will augment the experience through sound, create a breeze with fans, add smells--anything we can do to trick the brain into feeling like they are transported into a new space," says DALI leader and Dartmouth University computer scientist Lorie Loeb. The research builds on more than a decade of work to develop a computer-based therapy program to help astronauts cope with the mental challenges of long space missions. The Virtual Space Station includes programs designed to treat depression and help astronauts deal with stress or engage in conflict management. The system has a much more advanced computer interface than traditional Internet-based therapy programs, according to Dartmouth clinical psychologist Mark Hegel. The researchers are testing the Virtual Space Station on mock missions in which participants will be able to confidentially access the virtual therapy program on their laptops. A team of researchers at the University of Guadalajara in Mexico are using computational algorithms and neural networks to teach robots how to differentiate patterns such as fingerprints, handwriting, and human faces and bodies. One of the projects, led by Nancy Guadalupe Arana Daniel of the University Center of Exact and Engineering Sciences, focuses on teaching robots to recognize human silhouettes in disaster scenarios. Daniel's team is using a small, treaded robot for the project, which is equipped with a flashlight, stereoscopic camera, and several sensors, including a laser and infrared system. The robot uses the camera and its sensors to build images of its surrounding environments to find paths through its surroundings. The researchers are trying to teach the robot how to use those tools to recognize the silhouettes of humans in disaster scenarios where they may be injured and in odd positions or partially buried. The team uses the data gathered by the robot to generate descriptors that are fed into a neural network they have developed called CSVM that recognizes patterns. By building up a database of the silhouettes, the researchers hope they can teach the robot to "see" humans even when they are contorted or obscured. Anurag Acharya is something of a novelty at Google. The company's executives and innovators often move from project to project over time, but for the last 10 years Acharya and a small team have continued to steadily improve and advance Google Scholar, the service he helped invent in 2004. The inspiration for Google Scholar, now the premier service for searching academic materials from patents to journal articles to court cases, came from Acharya's experiences as a student at the Kharagpur campus of the Indian Institute of Technology. Acharya says the research process was arduous then and it was nearly impossible to find research that you did not already know existed. Years later, after he had joined Google, Acharya was looking for a change of pace and, with fellow engineer Alex Verstak, created Google Scholar. Since then he has passed up other opportunities at Google to continue making refinements to Google Scholar. Acharya and his team have encouraged publishers to grant the service access to their publications and added new tools and features. Acharya acknowledges there are other problems he could be tackling at Google, but says Google Scholar is the most meaningful work he can think of doing, helping the world's problem solvers find the information they need to make the world a better place.